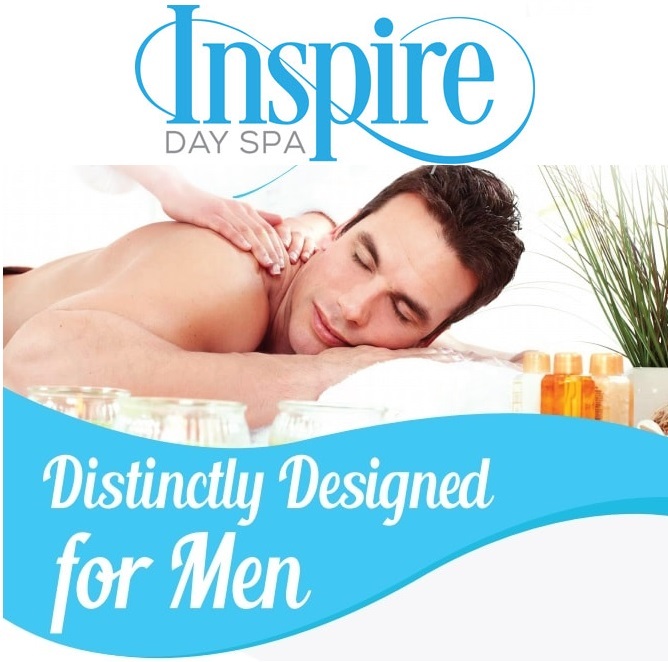 Discounts are applied when you checkout online! 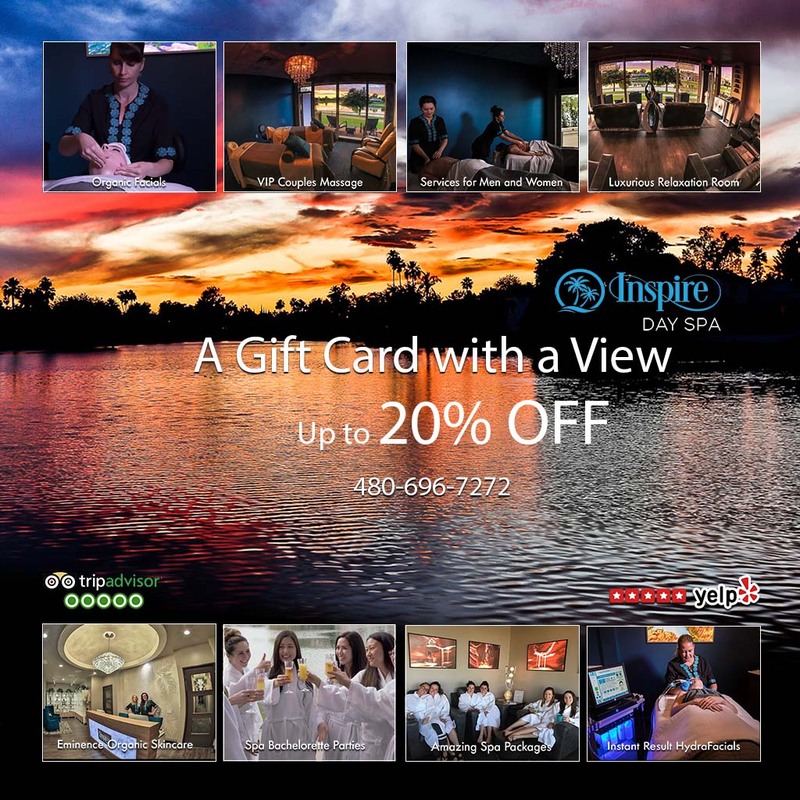 Cards are not valid to pay for services on the same day you purchase a card or group events. 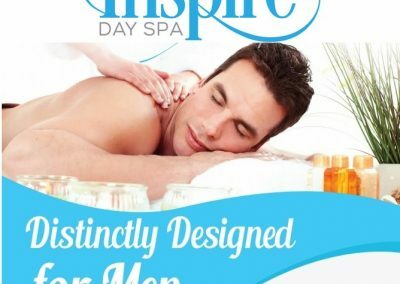 Card discounts cannot be combined with other discounts. 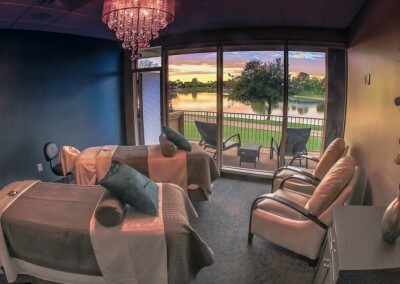 Would you like to order a Gift Card for one of our Spa Packages? 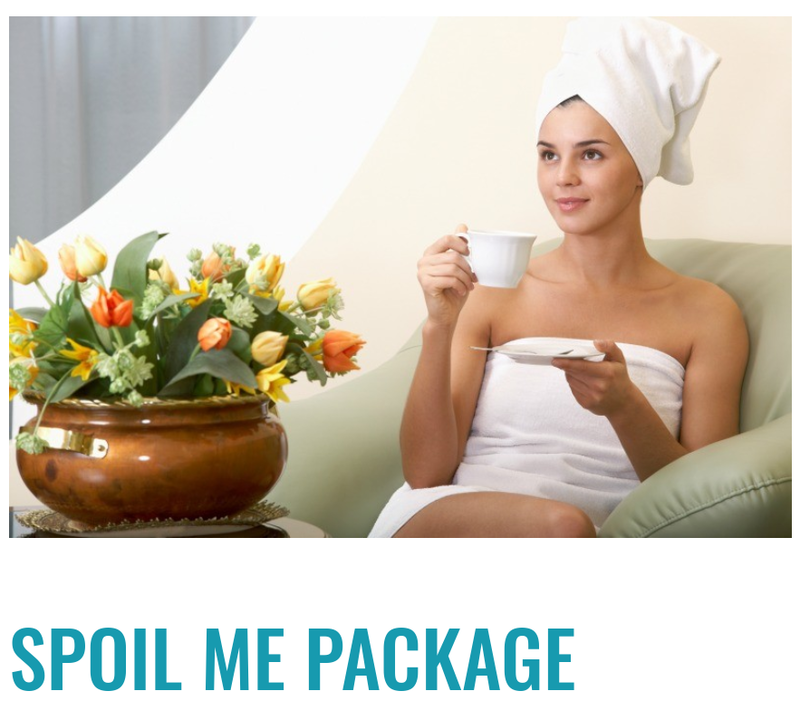 To order a package, review our popular packages here and return to the gift card section to order a gift card for the package amount. 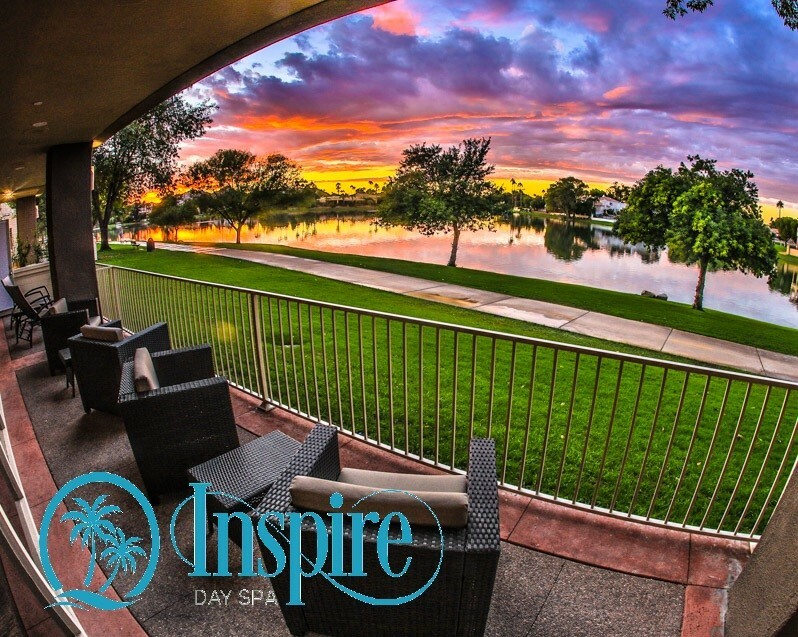 Our relaxation suite and couple massage VIP suite offer our guest the most amazing and luxurious Spa experience in Arizona with lakes views. 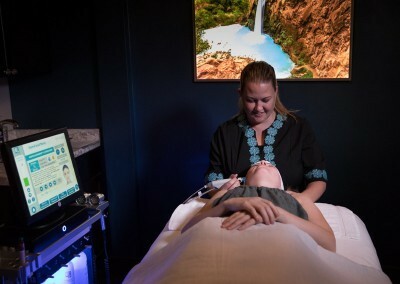 Either indoor or outdoors our guest will enjoy the most unique Spa experience in the area. 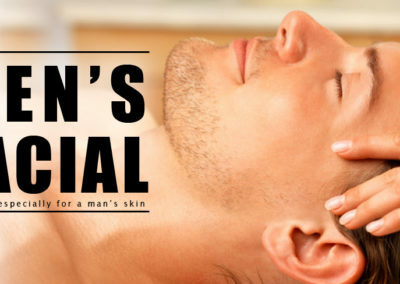 Let your recipient pick from a facial, massage or any of our other spa products or services. 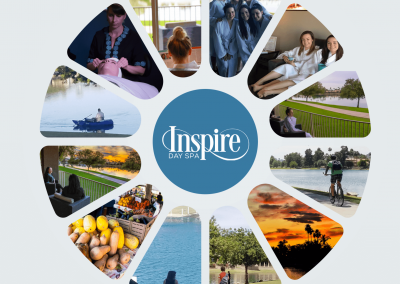 Give the gift of an Inspire Day Spa gift card to your loved one, family member, client, co-worker or friend. 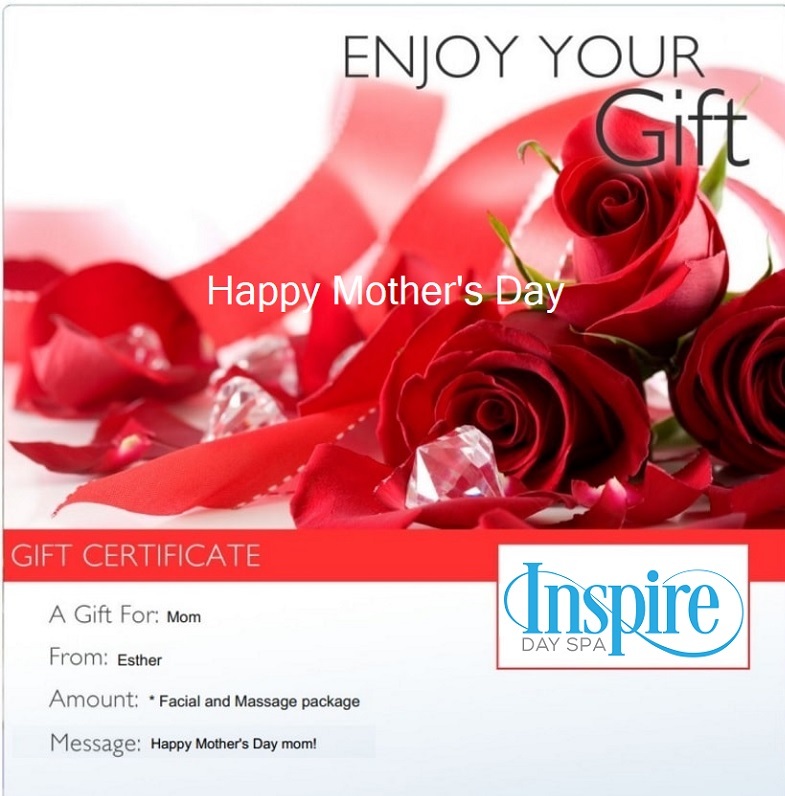 Gift cards can be purchased in any denomination online from the comfort of your home or office. 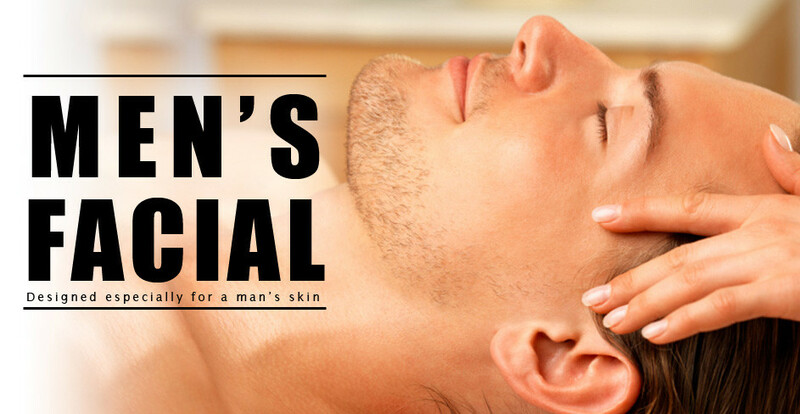 Order at your convenience and print, or email directly to your recipient. 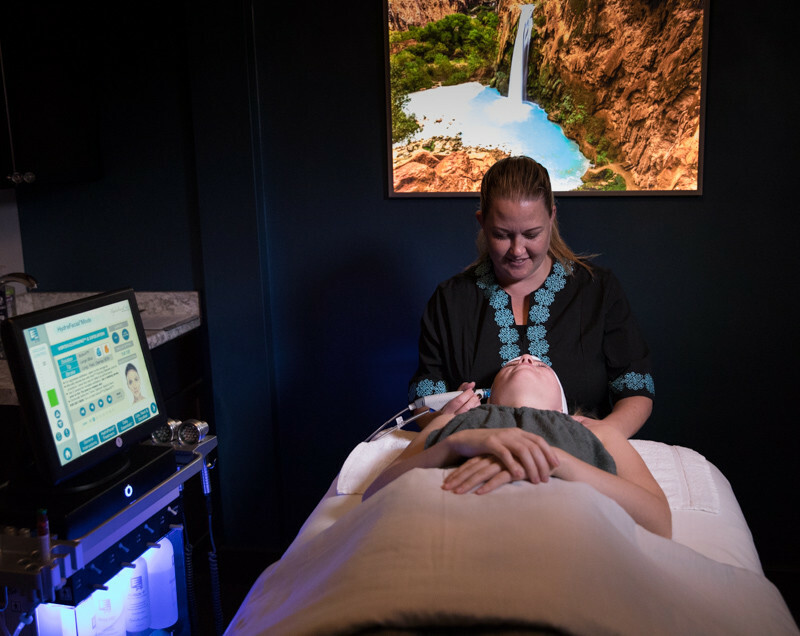 You may also coordinate your Spa Gift card amount to include a pre-arranged service or package and even add one of our unique touches from our celebrations items list. 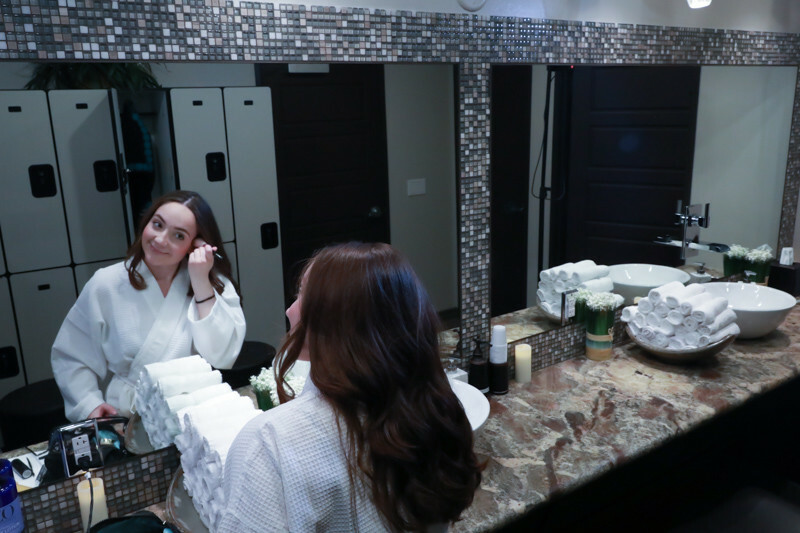 You simply add TWO of those items to your service of choice and we will make sure we have everything perfectly set up for your loved one’s arrival. 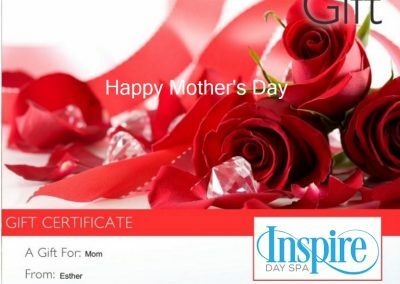 A SPA GIFT CARD MAKES THE PERFECT GIFT! 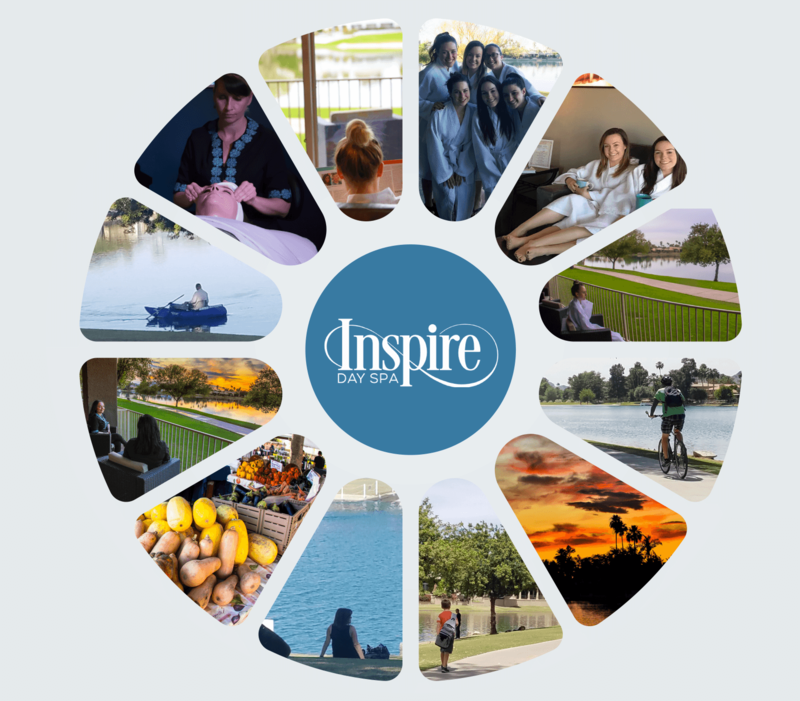 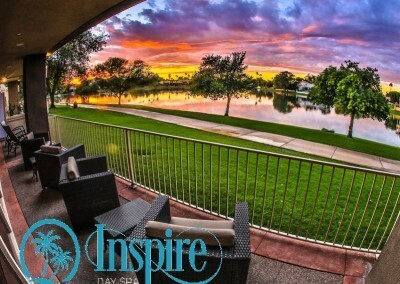 Inspire Day Spa is located by Marguerite Lake in beautiful McCormick Ranch in Scottsdale Arizona. 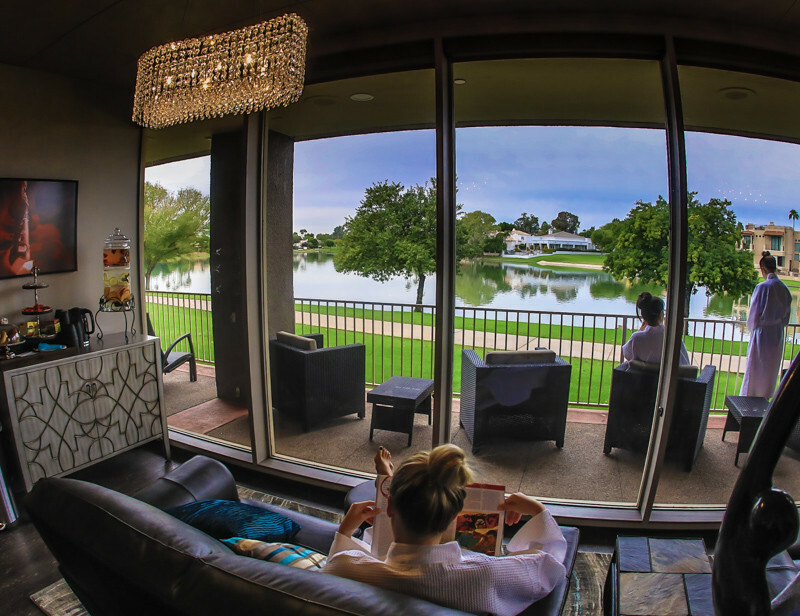 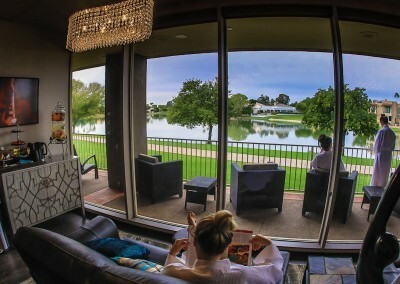 This is the perfect setting to enjoy a spa treatment, relax by a lake, people watch, read a book, enjoy a bike ride, reserve a picnic or simply kick back before and after a treatment. 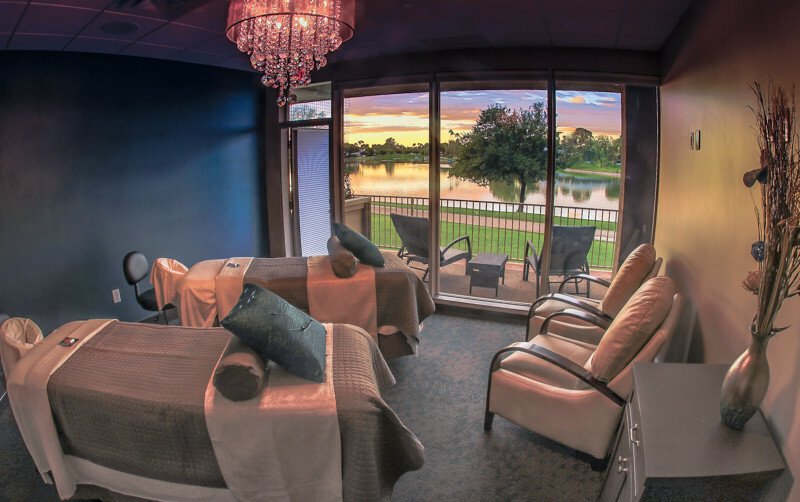 We also encourage our guests to arrive 15-20 minutes prior to their scheduled session and enjoy our peaceful relaxation room.